linux – Page 2 – Jane Talks Tech! So, my old nemesis has come back to haunt me: installing all sorts of programs on my laptop and then finding out I didn’t like or really need them, proceeding to uninstall them and finding out said programs have left all sorts of traces on my laptop. It’s rather frustrating to someone like me who will resort to a reformat of her laptop just to keep the pristine nature of things! Right now, I’ve got a bunch of entries in my “Users and Groups” that I know I have no need off. However, a simple deletion of those entries simply restores them on the next reboot. Of course, that tells me that somewhere on the laptop lies a file or several files that reference that user group. Thus, said user group cannot be deleted. I’m certain there is a ‘force delete’ command somewhere, but I’m getting cold feet on what file(s) could possibly need said user group. 1) Rsync: This is Ubuntu’s sync utility that is really self-explanatory. I’m currently using Grsync to backup my /home directory which has the files I need most (documents, pictures and video). It’s so easy that a caveman could do it (sorry Geico) and that is my solution of choice after giving up on the ‘professional’ backup solutions like backuppc and sbackup which, I’m ashamed to confess, confused me. Given that the installation of Ubuntu/Linux is a breeze, I’m content with having just copies of my files and simply coping things over. 2) Burn a copy of my essential files and hard-to-find programs. Make a list of must-have programs and be more judicious when it comes to installing programs. My Workarounds in Ubuntu and Getting Weaned Off Windows. 1. On my Vista laptop, I found 7zip indispensable because it was fast and integrated itself into the Windows explorer environment. On Ubuntu, my alternative to 7zip is the built-in Archive Manager, which can also be accessed by typing “file-roller” into a terminal window. In fact, after a couple of uses, I’m growing to appreciate the speed of this utility. I’m sure there is a way make an entry into the context-menu, but until then, I’m settling for managing file archives via Archive Manager. 2. 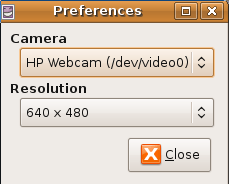 When I was using Windows, Cyberlink Youcam was rather terrific for making silly videos as well as for video chat because it had a wealth of fun additions like the whiteboard, effects, etc The closest I have come to on Ubuntu is the Cheese Webcam booth. Currently, the videos it takes are just as high-quality as Cyberlink Youcam’s, to my uneducated eyes. 🙂 The effects are cheesy and there’s really not much to it beyond taking webcam snapshots and videos. Editing the webcam and videos will have to happen a different program, but Cheese Webcam Booth is free and demonstrably works. Check out the two items under “Preferences”. 3) Microsoft Office 2007 is a thing of beauty and I particularly enjoyed creating documents with it. Now, being on Ubuntu has forced me to consider alternatives such as AbiWord and the Open Office suite of products. The user interface for Open Office is really archaic (in my view) and a little confusing for me. However, I’ve gotten the basic commands I need to survive and I’ll keep adding more skills to my repertoire. The preferences menu in Open Office is really scatterbrained and I hope Open Office 3.0 will bring some sort of order/sense into it. Maybe I’m severely biased (after 7 years of Microsoft Office), but I am willing to put Open Office through its paces and make sense out of it. 🙂 Wish me luck! 4. Security on Linux: This is the biggest scare for me because I was reasonably adept at staying secure on my laptop when it had Vista on it. Now, I’m learning things like the Linux filesystem does not need defragmentation, there aren’t very many dedicated security suites for Ubuntu/Linux or those available are for server-grade protection, etc. Frankly, I’m a little frustrated, but I’m doing my due diligence by reading up on ways to keep my computer protected from intruders. For instance, I’ve enabled the built-in Ubuntu firewall (ufw) and I currently use Firestarter to observe the kind of traffic that’s leaving and entering my computer. I haven’t created any custom rules because I dread accidentally locking myself out one of these days. 5. Secure remote access: This is the downside (for now) of switching to Linux. On my Vista installation, I had installed Logmein Pro and I had a dooms-day plan hatched out whereby I would be able to take pictures of any criminal using my laptop to get online or even wipe my data. Now, I’m kinda stuck with messing around with finicky VNC clients, etc. Hopefully, my online scourings will turn up a useful utility like Logmein that I can use to remotely access my computer. A name that keeps popping up as a robust remote access solution is NoMachine’s NX Free Edition. I gave it a whirl, but was unable to get it to work on my Linux laptop. There are other Virtual Network Computing solutions out there (RealVNC, UltraVNC, TightVNC, etc), but they are all way over my head at this point. I’m settling for doing a whole lot of reading and simply learning to fortify my computer against computer varmints. 🙂 In that respect, I’ve enabled OpenSSH server on my laptop and changed the default port (22) to something else. That action probably threw a monkey wrench in to my NXServer configuration, but I’m a little tired. lol. 6. Secure online surfing: My method of staying under the radar while surfing was through SSH tunneling. To be able to perform “SSH tunneling”, you need access to an SSH server and there are a few free SSH servers out there. On Ubuntu/Linux, I installed the Gnome SSH tunnel manager (search for ‘gstm’ using the Synaptic Package Manager which is like the Windows “add and remove” programs feature with awesomeness added. lol) and because I have Firefox, I’ve got the Foxyproxy plugin to toggle the tunneling session on or off! That’s about it for now. More to come! Cheers. Posted on March 1, 2009 May 23, 2011 Categories TechTags Awesome, camera tools, cheese webcam booth, cyberlink youcam, firefox, firefox plugins, foxyproxy, Freebies, gnome ssh tunnel manager, gstm, linux, linux alternatives, linux security, microsoft office, nomachine free edition, nxserver, open office, openssh, ssh, ssh secure access, ssh server, ssh tunneling, Technology, ubuntu firewall, ubuntu security, ubuntu/linux, virtual network computing, vnc, webcam effects, webcam toolsLeave a comment on My Workarounds in Ubuntu and Getting Weaned Off Windows. Well, well. It has been a very interesting week, to say the least, for me. On Monday, I got this bee in my bonnet that I would like to give the Linux operating system a really good shake. Earlier this month, I had installed Ubuntu “Intrepid Ibex” on my 64-bit Vista laptop via Virtual PC 2007. I fell in love with the operating system, but there were niggling problems like my screen resolution and speed that truly prevented me from observing how powerful this system was. So, I decided to dive into the world of dual-booting. It was simple in theory until I embarked on the process. I popped the Ubuntu desktop cd (the “live cd”) into my CD/DVD drive and restarted my computer. 1) Make sure you have lots of time to troubleshoot any missteps. This is vital. 2) Have at least 2 backups of your important documents (I had a complete PC backup through Acronis True Image as well as copies of my important files on my external hard drive). 3) Ensure your hard disk has been defragmented and it would not hurt to run a disk check (rightclick your C: drive and go to “Tools”). There should be a section to schedule or start a disk check; You should also allow the disk check to scan and fix any errors it finds. 4) Have access to another computer for getting online and troubleshooting when things go wrong or have a printout of relevant answers to questions you are anticipating. So, I was back in the Windows operating system without Ubuntu installed. I tried using Vista’s inbuilt partitioning feature, but I kept getting a “logical disk access denied” error. Now, I started getting frustrated, but I quickly remembered that I’d purchased the excellent Acronis Disk Director Suite!! I quickly fired the Acronis Disk Director suite up, but I was alerted to the fact that my C: drive had been marked “dirty”. This alert came about because I wanted to defragment my C: drive after the botched Ubuntu partitioning. That was when I ran the disk check tool on my C: drive and then, used Acronis Disk Director to carve out a partition for Ubuntu (~ 25 GBs). I left the partition unformatted because I wasn’t sure what file format to select) and the Disk Director program did its thing. After the disk check and the disk partitioning (w/o the installation of Ubuntu yet), I restarted my computer with the Ubuntu Live CD in my CD/DVD drive. This time, I selected “Try Ubuntu” and after the Live CD loaded up, I clicked the “Install” icon on the Ubuntu desktop. 1) It helps to have an internet connection while you are using the Live CD for troubleshooting purposes as well. 2) After answering some preliminary questions, the time came for me to select a partition to install Ubuntu to and I selected the 25GB partition and allowed the Live CD to format the partition as “ext3”. I got thrown a curveball when I was told that there needed to be a “swap” area for Ubuntu (analogous to the paging/hibernation files in Windows). So, I fired up GParted (a partitioning utility for Ubuntu/Linux) and further carved out 1GB of space from the 25GB partition. In the GParted dialog, you will have the option to format any partitions you create and for the new 1GB partition, I selected “swap area” and formatted the 1GB partition.